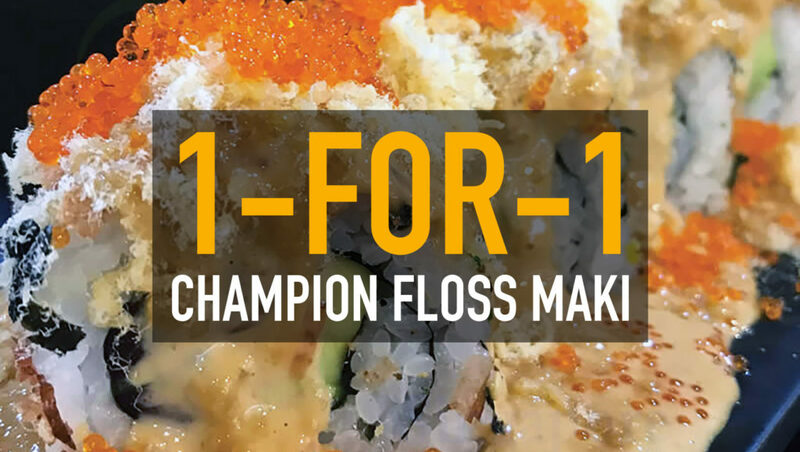 Indulge in the SHIOKEST Champion Floss Maki in Town! 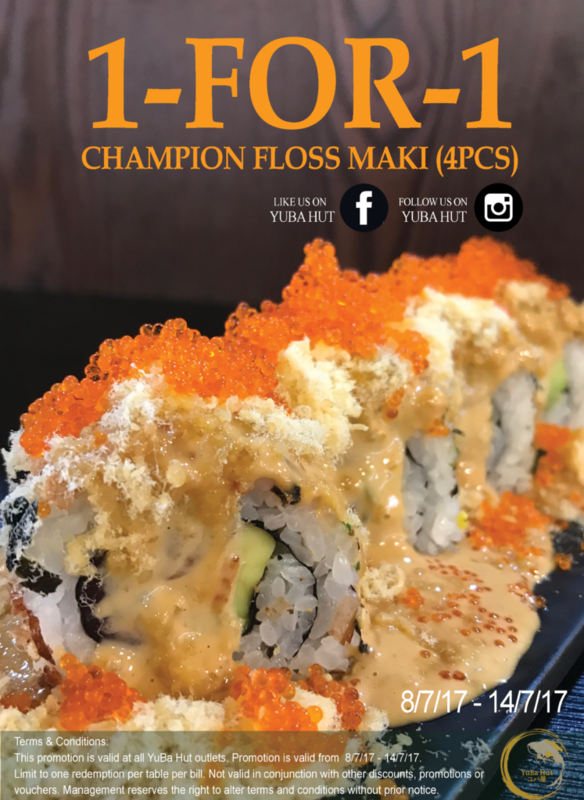 Enjoy 1-1 Champion Floss Maki at Yuba Hut from 8 July – 14 July! 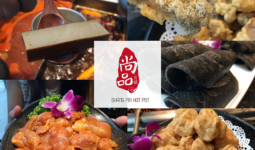 Yuba Hut, a fast-casual concept that specialises in modern Japanese fusion cuisine is offering this irresistible deal for the very first time! 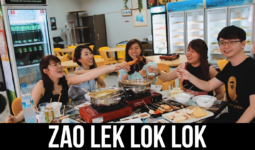 It is where you can savour aburi makis and rice bowls, yakitori combinations, sashimi and more. 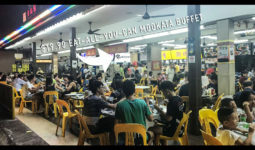 Interesting fusion Makis being Yuba Hut’s calling card, you will sure be spoilt for choice with options from from Cheesy Unagi Aburi Don to Cream Cheese Mentaiko Salmon and Taiyou Century Egg makis. Available at Yuba Hut Hillion Mall and Yuba Hut Heartland Mall with terms and conditions applied.